The expected announcement is here. Apple has proclaimed that the 9th of September will be a grand occasion for all Apple consumers around the world. According to rumors on that day Apple will reveal their brand new iPhone 6S, iPhone 6S plus, iPads and Apple Tv as well. And also we are waiting to receive iOS 9 major release too. But still we can only wish to reach them as Apple hasn’t entitled any of them to release. The Tagline of their invitation named as “Hey Siri, give us a hint”. By the way stay with us to get all news about the even until we reach the 9th of September. Anyhow for most probably Apple abstract the date 9th to release iOS 9 because of same numbers to be a remarkable launch. After the release we have to concern about jailbreak community too. Note : TaiG Download every versions from the TaiG’s official web page to download not fake/ correct interfaces. According to rumors and sources of iOS 9 jailbreak mentioned a new jailbreak tool from Taig. It will be release under the next Taig 3 .0 version. If this will receive soon after Apple’s release all jailbreak enthusiasm users will gather around it to download Cydia on their devices. Hope the Cydia too will advance its version on the grand release iOS 9. So the current 1.1.23 version will enhance to 1.1.25. And also may be the list of devices will change of iOS 8.4.1. Because Apple will drop out some iDevices from the list to stretch the list with new devices. So the expected iPhone 6S and iPhone 6S plus too will be there. Anyhow if the devices won’t drop away from the list it will be as follows. By the way Taig’s steps of jailbreaking will be same. As these are only clues just get news through us accurately. Hope with this we will be able to jailbreak iOS 8.4.1 too. And also Mac users don’t need to stay away from jailbreaking as Taig will release the Mac tool too. Apple has introduced the major version of iOS 9 as a version with full enhancements as you we expected always. And new multitasking features added for iPads to use with. And not that only, following list too will help you to get to know more about new on iOS 9. And it has included some other new activities as well. If you are willingly to know about iOS 9, we suggest you to upgrade the public beta version before you reach the major version. You don’t need to doubt about downgrading. Because still you are able to downgrade your iOS 9 device to iOS 8.4 and iOS 8.4.1. But if you need to use a jailbroken device of iOS 9 it is better to stay away from that until we get a jailbreak tool. By the way even still we doesn’t have any sign of a jailbreak tool for iOS 8.4.1, Taig and Keen team too have proclaimed to release a tool for iOS 9. Therefore hope the relese of iOS 9 will eager them to jailbreak both iOS versions soon. But maybe we will be able to make iOS 8.4.1, a jailbroken version before iOS 9 launch. According to rumors, mostly Taig will be the victor at this time too. Because they were the first, to jailbreak iOS 8.3 and iOS 8.4 as well. If it will be we will receive the Windows jailbreak tool and Mac tool too at the same time. And will be able to download Cydia on our devices and make iOS 9 advance than it is. Anyhow as Apple’s plan to make you not to jailbreak your device may be users will ignore the jailbreak tool because this release will be the most user friendly operating system ever. But to get all news accurately we must wait for Apple and jailbreak community announcements. Here are the device of iOS 9 make sure your device is one of these. And also the future iPhone 7 too will be here after the release. iPad mini 3, iPad mini 2, iPad mini. iPad 3, iPad 4, iPad Air 1, iPad Air 2. Apple has just released the fifth beta stage of iOS 9 in 13A4325c build number for all registered developers of Apple’s developer program. It can be downloading on iPhone, iPad or iPod touch. iOS 9 beta 5 downloading path given in below. The latest fifth beta of iOS 9 came out just over a fortnight behind the fourth beta. Do you remember that iOS 9 beta 4 has introduced Home sharing for Apple Music. Apple has re-introduced Home Sharing for Apple Music in the new beta and they added the Handoff option within the App Switcher. Note – Apple is scheduling to release the final version of iOS 9 at the iPhone on next month. So ready to download iOS 9 so soon. 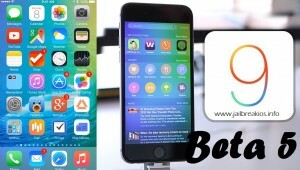 What is new iOS 9 beta 5? The latest beta of iOS 9 is currently available to download for all registered developers of Apple developer program. A public beta release will be later this month. iOS 9 beta 5 can install all iPhone, iPad or iPod touch. If you think to download iOS 9 beta 5, then you should be the member of the Apple Dev Center. Then downloading entrance will open by ADC to take new beta of iOS 9. The latest beta of iOS 9 is available as an OTA also. So who have already installed any iOS 9 beta, you can install iOS 9 beta 5 via OTA. It also available in ADC website for users who prefer installing it manually. Apple has just released third beta of iOS 9 as the public for users who has enrolled in Apple’s public beta program. iOS 9 public beta 3 and iOS 9 beta 5 has carried the same build number 13A4325c. It means that both releases are identical but those have pushed through different channel. If you are already install previous public beta of iOS 9, then you can update the latest on using OTA. Settings > General > Software Update. Nowadays Apple’s iOS 9 beta collection is releasing one by one. I know now cydia lovers waiting to iOS 9 jailbreak with latest cydia tweaks, apps, themes and more. TaiG jailbreak has hinted that iOS 9 jailbreak tool releases by them. However, as rumours Apple is trying to release iOS 9 final version on next moth with iPhone 7. I think immediately we we can see the iOS 9 jailbreak tool. So ready to accept it. 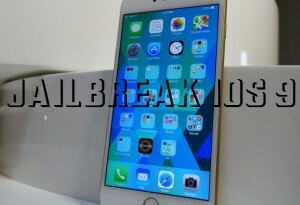 iOS 9 Jailbroken by Keen Jailbreak? “Keen” is the elite hacking team, up coming from China. After victory of More than $60K in Mobile Pwn2Own competitions, they have prominent among other teams. The team could release tool for root Samsung Galaxy S6 in nearly day. Apple confirmed to release iOS 9 major version on September, 2015. Nowadays they started the iOS 9 testing period. Among few beta versions, first beta of iOS 9 already released for all registered developers. iOS 9 beta 1 jailbreak ability is currently not available. 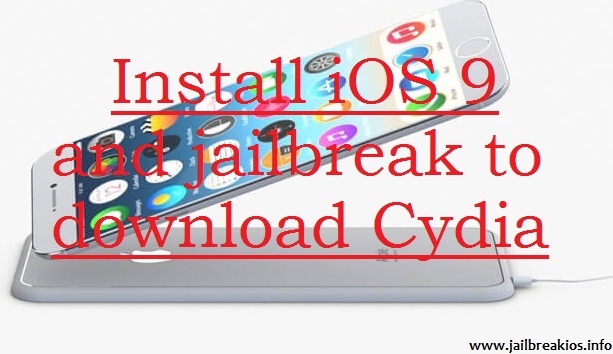 Now all cydia lovers’ and users’ main aim is iOS 9 jailbreak. I think it is not so far. iOS 9 cydia download can expect so soon. Now, Keen team is ready to release iOS 9 jailbreak solution for all users. Speaking with Forbes, Thomas Fox- Brewster, Liang Chen of the Keen team said that they planned to release their first ever jailbreak tool for iOS 9 instantly back of iOS 9 confirmation. “Rootless” will prevent Keen jailbreak? Unconfirmed reports are reporting that Apple is going to add the new security features called “Rootless” with new iOS 9. Now all of you know what is the Rootless. As sources it is like a killer of jailbreak. Reports indicated that the feature will prevent all jailbreak abilities. Apple planned to improve Rootless with ability of against malware, protect extensions and sensitive data. Are you thinking that Rootless will be a main effect for iOS 9 Keen jailbreak? Sometimes your answer will be “Yes”. I like to indicate one think. Sometimes Rootless will powerful than the jailbreak. If then, iOS 9 keen jailbreak will fail. However, Keen jailbreak is currently not confirm. So you must wait for iOS 9 and iOS 9 keen jailbreak release to public. Let we see that is Keen jailbreak powerful to intrude in Apple’s iOS 9 security system. iOS 9 beta 1 can download from Apple Dev Center or OTA. For all register developers- enter to the Apple Dev Center using Apple ID and download iOS 9 beta 1 directly or otherwise go to Settings > General > Software Update. iOS 9 is currently in beta. The first beta version of iOS 9 released by Apple in Apple World Wide Developers Conference witch has held on 8th of June 2015 in San Francisco. Now all cydia fellows are expecting iOS 9 beta 1 jailbreak as soon as possible. Few days back, the first news of iOS 9 cydia download is out. The Elite Chinese hacking group called “Keen Team” is working on iOS 9 jailbreak. This is the glad news which is spreading quickly via internet. The latest jailbreak version of iOS is iOS 8.1.2. The tool is released by TaiG team. I think the news will be the cheerful news for all cydia lovers, who have not seen a new jailbreak tool in more than 6 month. As some unconfirmed report indicated the features of “ Rootless “ that the feature will be the killer of the jailbreak. Additionally, reported that the feature will be the safeguard for malware, increase security for extensions and all sensitive data. The main point is which is reviewers revealed that iOS 9 jailbreak will impossible, because new expectant security feature of “Rootless”. However the team of Keen, also called K33n Team is accepted the challenge. Keen team is the best team for breaking into mobile safari and they won more than $60K in Mobile Pwn2Own competitions. They could be release a rooting tool for Samsung Galaxy S6 in nearly day. At the end of the beta testing period Apple will announce their next major mobile operating system and then we can expect iOS 9 jailbreak by Keen Team so soon. Apple’s World Wide Developer Conference of WWDC, is hoping to held in next month and we are expecting that iOS 9 is the next generation of iOS will be introduce in day. According to rumours Apple confirmed that date to release iOS 9 on June 8 or after soon. The update will be a new experience for all users. Nowadays Apple is working hard to iOS 9, and they are hoping increase some abilities and improve optimization abilities via iOS 9 technology. In fact, iOS 9 jailbreak actually be impossible? Some are stating that iOS 9 jailbreak will be actually impossible. The reason As new report, Rootless is the new feature, expect via iOS 9 security system and that will bebut in both Mac and iOS. The feature will be a safeguard to against malware, increase safety of extensions, preserve sensitive data with high security and work as prevent iOS 9 jailbreak. In fact sometimes iOS 9 jailbreak will be actually possible. Otherwise it it does not hard as we think. Perhaps, more challenging? More difficult? Or may be easy. Nowadays Apple is releasing iOS 8.4 beta versions for developers who has been registered in Apple Dev Center. Heretofore, iOS 8.3, iOS 8.2, iOS 8.1.3 imparted among Apple fans. Still iOS 8.2, iOS 8.3 and iOS 8.1.3 available as non- jailbroken. The reason, Apple’s mobile operating system has been enhanced periodically. They worked hard to prevent all jailbreak possibilities and they try to improve their mobile operating system with many more security updates. The new feature of Rootless, which is expect via iOS 9, I think it will be prevent all jailbreak exploits of iOS 9 jailbreak. However, we are expecting iOS 9 as soon as possible. Jailbreak is like a cool war. Every iOS updates, jailbreakers are starting their experiments for cydia download on iOS. Now we are expecting about iOS 9 jailbreak and cydia download after confirm release date. According to our review I did not mean that iOS 9 jailbreak is impossible. But it will be a challenge for all jailbreakers, because I think Apple try to prevent all jailbreak possibilities via iOS 9. iOS 9 is the newest amazing experience for all jailbreakers and users. While Apple’s are updating their iOS versions, rumours about iOS 9 are starting to spread via internet. According to those statements, Apple’s will be update with iOS 9 download. In fact before iOS 9 release, users are trying to find some news about iOS 9 jailbreak and cydia download. They are expecting to hear about iOS 9 as soon as possible and cydia download iOS 9 with jailbreak. Some web sites are reporting that iOS 9 experiments are already doing at Apple’s headquarter in Cupertino, but we cannot say when it will be encounter for users. According to rumours, Apple has been plans to release first beta version for iOS 9, oft-times on June 8 or soon after ahead of iOS 9 release as major update. However, we know all cydia lovers and Apple fans are keeping their attention towards iOS 9 download and iOS 9 jailbreak. The article will be the first step for iOS 9 jailbreak. According to our review Apple will prevent all jailbreak exploit via iOS 9. They will update their security system to avoid all jailbreak possibilities. Apple has been introduced many more usable features from their all new operating systems. iOS 9 is the latest Apple’s mobile operating system which is hope to launch in future for all users. According to rumours iOS 9 may focus to include stability and optimization improvements. In fact we can think the latest iOS 9 version will be new experience with its system changes and new features like iOS 8. All users can download iOS 9 from iTunes or via OTA. Beta versions of iOS 9 will be from Apple Dev- Center. 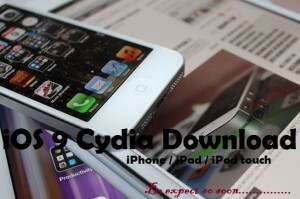 Every jailbreak loving are willing for install cydia app on their iOS system with jailbreak. Can I jailbreak iOS 9? 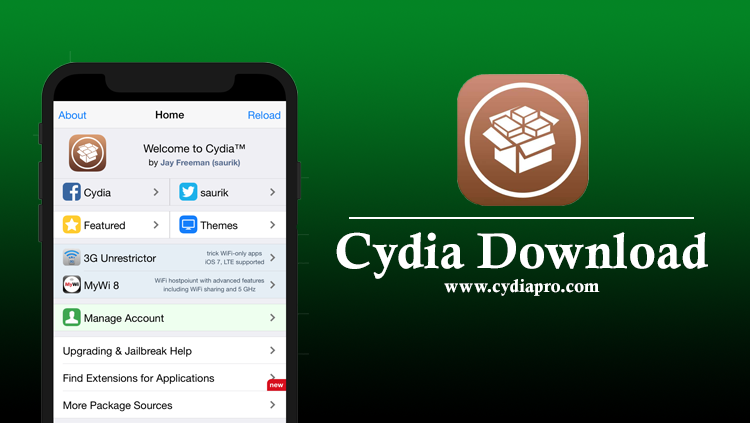 The end of the jailbreak process, all users can install cydia third party application on their devices, So you can keep a hope to jailbreak iOS 9 for install cydia. Can you guess who will be win iOS 9 jailbreak game?